Scott's Web Log: Competition in Patents for "SmartInsulin"? Competition in Patents for "SmartInsulin"? As my readers know, I think one of the most promising developments in terms of treating patients with type 1 diabetes is the concept of "SmartInsulin". The concept is simple enough (relatively speaking, of course): the SmartInsulin would be injected into a depot under the skin, just as all insulin is injected presently. But instead of the insulin all working at the same time, it would be released into the bloodstream only when glucose levels increase above a certain threshold. The benefits are multiple: it would drastically reduce hypoglycemia, it would also reduce the amount of testing required, and ideally, it would also improve glycemic control. That would be superior to an artificial pancreas any day! Recently, a poster on the Islet Foundation Public Message Forum inquired about U.S. Patent 7317000 which was issued to Novo Nordisk A/S. A follow-up to that message suggested that it appears to be just a "concept", not something with a working model. That person noted that it appeared that the company was attempting to patent every possible way that insulin could be made reactive to blood glucose. But the moderator noted that if it was attempting to patent glucose-responsive "smart" insulin as a concept (and not as a particular chemical innovation), then it might not be worth much of anything. It is known that Novo has no "Smart Insulin" undergoing clinical trials (any phase) at this time, as that information is disclosed on the company's website under the heading "R&D Pipeline". The filing date of Novo's patent precedes U.S. Patent Application 0040202719, which was filed by Todd Zion and a few others at the Massachusetts Institute of Technology (MIT). That particular concept has subsequently been licensed to SmartCells, Inc. by MIT, which headed by Mr. Zion as the CEO. 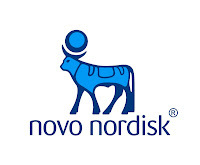 I am not a patent attorney (nor do I play one on television) but I'm curious if Novo's pre-emptive patent (if it is pre-emptive) would require SmartCells, Inc. to get additional license or pay fees to Novo Nordisk if and when they are ready for commercialization? Any lawyers or others have any thoughts on that, please comment! As you may recall, when I interviewed SmartCells, Inc.'s CEO Todd Zion last June, he was very explicit when he assured me that SmartCells' discoveries were not necessarily in Novo Nordisk's pocket as a result of its relationship with Jens Brange. He also noted that his venture capitalists would not allow that to happen even if he wanted it to because they all expect a return on their investments! He then confided that his suspicion was that assuming clinical trials work as anticipated, then ultimately, the product would be licensed to the highest bidder, which although not necessarily in the best interests of patients or their healthcare providers, it would ensure that the venture capitalists who are funding the company get their due return on investments. He was confident that his patents had undergone a thorough review and were not in danger due to a pre-emptive concept idea from another company, either Novo Nordisk or the Japanese researchers cited in Novo's patent. Last year I reported that researchers at The University of Texas School of Health Information Sciences at Houston had announced pre-clinical test results in the September issue of the International Journal of Nanomedicine demonstrating the feasibility of a "smart particle" insulin release system that effectively "detects" spikes in glucose or blood sugar levels and releases insulin to counteract them. Of course, the UT Houston results were on a pulmonary (inhaled) delivery system, but the concept had been proven nevertheless. A few observations here. First, I'd like nothing more than competition for this concept. I don't think there's nearly enough competition in insulin development. It is notable that Eli Lilly and Company is absent from this discussion, as their insulin business is in dire straights. Maybe that's because the company hired Dr. Robert J. Heine to run that business -- a move I questioned when others were claiming what a brilliant addition he made for the company. The reason: Dr. Heine specializes in the treatment of type 2 diabetes, not type 1, and once again, treatments for type 1 have fallen to a lower position at the company. No, Dr. Heine cannot reverse decisions made years ago as far as not investing in research, but is continuing support for inhaled insulin, which doesn't look like it will be sufficient to turn that sagging business around. But competition between SmartCells and Novo could be an interesting development! As you are probably aware of Scott, there is a big push to get people w/IRD(aka Type 2 Diabetes) on to a Basal Insulin(Lantus or Levemir) in addition to their Metformin so as to comply with the guidelines proposed by the ADA and the American Endocrine Society of achieving a certain range number in their HgbA1C. This methodology will make for an increase in Hypoglycemia as well as antibody formation from the DNA Insulin. I think that most PCP's and Endocrinologists recognize the Reality out there when it comes to IRD(aka Type 2 Diabetes). That the majority of these patients will not apply the necessary Lifestyle Changes(diet, food choices, loss of weight, exercise) so as to make a positive effect within their Bodies and avoid additional medications(Basal Insulin) to control their Blood Sugars. A more pragmatic solution would be to use some of the large amts. of money that is geared(all the time) to IRD(aka Type 2 Diabetes) to those w/T1DM who are as a group more motivated regarding their Health and Bodies. The Smart Insulin concept sounds very smart. Re: your article on SmartInsulin and Novo's "preemptive" patent: Usually patent examiners are quite aware of applications which are shot-gunning and too broad in scope. This is reflective of what you said regarding Novo's interest in patenting ANY CONCEPT pertaining blood sugar control. Conceptually, the first patent on the hull of a boat could have covered every embodiment that floats on water, but it didn’t. Take a look at some of the patents for new, novel analog insulin products. Each patent covers as many amino-acid possibilities at one site on the A or B chain, which patent examiners will allow. At the same time, multiple sites with multiple amino acids are usually more limited with defined intentions. I expect attorneys for the SmartCell technology have a definitive release procedure which is outside the realm of the original Novo patent. Hmmm, Patent #5242900 looks interesting, too. I wonder why none of the big pharmaceutical companies are pursuing this, while at the same time bemoaning the fact that their pipelines are bare? There are several followup patents and applications on the phosphorylated insulin (oligomers of phosphorylated insulin) so it might not be a dead end. The company diabecore.com seemed to be aiming for clinical trials of of their product hypoguard in 2009 but no word since. Since it is an insulin analog, it might be easier to test than the Smartinsulin polymer/insulin combination.